Professional education has included completion of all requirements to obtain the SRPA and MAI designations. Courses included Appraisal Theory and Techniques, Principles and Applications for Income Property Valuation, and Standards of Professional Practice. Continuing professional education credit hours have been earned to exceed the Appraisal Institute requirement of 100 credit hours during each five-year period and Iowa Licensing requirements. Additional professional education has included Industrial Property Appraisal, Computer Assisted Appraisal and annual conventions and seminars. Professional experience covers 35 years in appraising all types of commercial, industrial and investment property, with specialized knowledge for analysis of complex property issues for special use properties. A co-founder of Commercial Appraisers of Iowa, Inc. during 2001. Experience includes unique skills in golf course appraisal and extensive past practice in eminent domain and assessment fields. Prior experience included the position of Vice President and Appraiser with Iowa Appraisal and Research from 1987 to 2001 appraising commercial and investment properties. 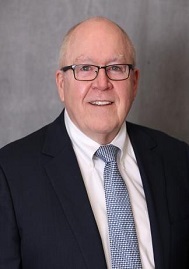 Served as Chief Deputy Assessor of Madison, Wisconsin from 1979 to 1987 with responsibility for assessment of all commercial and apartment properties and all business FF&E. Prior experience included six years as appraiser of industrial properties for the Wisconsin Department of Revenue. Additional experience includes teaching assessment law, cash equivalency analysis, and appraisal procedures at several vocational and technical schools.